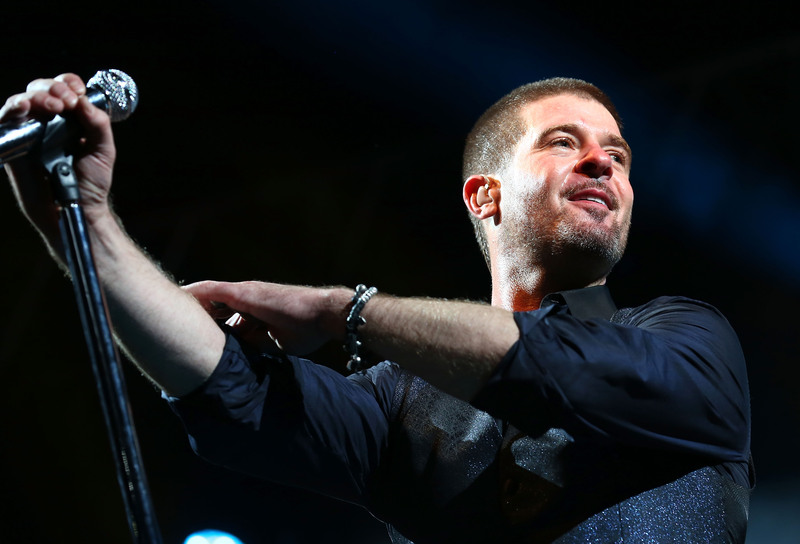 For the past few weeks Robin Thicke has been on his embarrassing penance tour to try and win back his estranged wife Paula Patton, and it's all been one loud shout into the void. At least, when it comes to music fans. According to The Guardian, Thicke's latest album — the desperate and creepy plea called Paula —sold just 530 copies in its first week and entered the charts at No. 200 in the UK. You might want to read that again. Not 530,000 copies or even 5,300... 530 total. There's probably more people watching a matinee of Tammy somewhere than people who bought Paula. To put things in perspective: Thicke's 2013 hit album Blurred Lines "sold 25,981 copies in its first week." The 37-year-old singer isn't doing much hotter stateside, either. While not nearly as dismal as those UK figures, according to The Hollywood Reporter, Paula "might sell around 20,000 to 25,000 copies by the end of the tracking week on July 6." That's a pretty big difference compared to the 177,000 Blurred Lines made in its first week in the US. Turns out people would much rather listen to one misogyny-laced album than another. With Thicke's popularity and public persona at an all-time low (he got a royal and deserved shellacking courtesy of Twitter just last week) this begs the question, who are these few people left who are actually buying this new album? We have some theories on who these few thousand (or in the case of the UK, hundred) people are who purchased Paula. He probably bought a few thousand albums that he'll randomly place in a few thousand floral arrangements forever humiliating and/or horrifying poor Paula Patton and making music fans face palm the world over. Pretty much out of obligation. Probably a whole lot of pats on the back and "Well, I liked it, son" going on. Inspiration for his inevitable future album to creep out Amber. They're so nice. Especially to their Robins.